Posted on December 3, 2018 December 4, 2018 by John Novosel Jr. The main problem with ‘Low and Slow’ is: What does SLOW mean? SLOW is a relative term. What’s SLOW to a tour pro might be fast to you. Solution: use concepts that are definable and tangible…. you guessed it, the Tones of Tour Tempo are exactly that. This one seems so right, but it’s oh so wrong. The idea is that if you walk slow and talk slow, then you should swing slow. Bernhard Langer (arguably the greatest senior player ever) talks slow and plays even slower…his tempo? a super fast 21/7…and he’s like 90 years old. Ok, I think he’s 60 but you get the point. Rickie Fowler is a super laid back dude, his tempo: also very fast at 21/7. Rory Sabattini is a super fast player, his tempo? not so much, it’s 27/9. The reality is that there is no correlation between personality and tempo. Think how ludicrous it would be to apply this principle to other sports. Can you imagine Andy Reid (I’m a KC Chiefs fan) telling his running back, “hey you’re a laid back guy, go ahead and run slow” because that matches your personality. Or we could tell Roger Federer, you’re a nice guy, so you should be nice on the court?? WTH?? Here’s a better idea, forget your personality, use the Tones of Tour Tempo and start swinging like the greatest players of all time. Many problems with this one: you lose SSC (stretch/shorten cycle), the physics of it will cost you power, you’ll start looking like Charles Barkley, the list goes on. And I’m going to throw in Jamie Sadlowski because he’s pound for pound the longest hitter to ever live and without being a tourney golfer he make 3 cuts on the web.com tour during his Long Drive days. What do their personalities have to do with anything? CTA: If you have the tones, keep practicing to them. If you don’t, get the app or the Tour Tempo MP and start swinging with the rhythm of the greatest players of past and present! 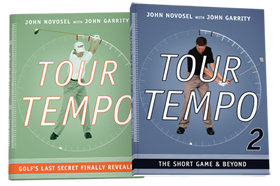 I am a longtime believer in Tour Tempo and preach it to all of my golfing buddies here in Minnesota. Appreciate that! Spread the Gospel! Thank you for the myth busting. 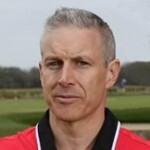 I spend a great deal of my time, as a PGA Professional, dispelling these myths. Sadly, many of my colleagues still repeat them. I’ll pass this blog on.